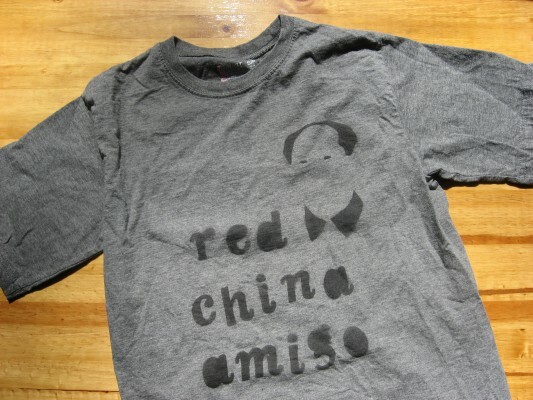 If our Yudu Craftervidz has you itching to make some shirts, but you can’t commit to the price tag just yet, check out this alternative method used by Handmade Detroit’s boyfriend. So it’s the night before your band’s big show and you get the thought: Why not make a few shirts to sell? Hey there cowboy, good idea, but the band coffers are running a bit low, and the show is tomorrow and all. 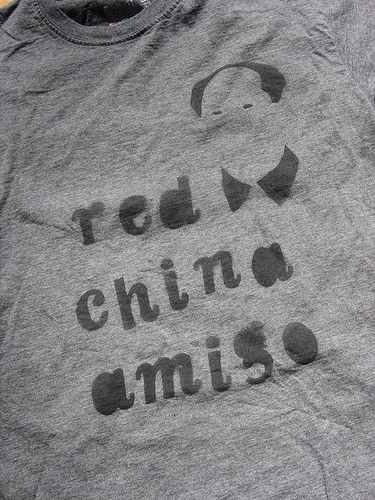 Making a shirt is not that hard with a stencil and Tulip’s Color Spray. The spray is washable and comes in a ton of colors and varieties — they even make a glitter kind, ya know, if your band happens to be of the glam rock genre. 1. Wash your shirt. This step is especially important if your shirt is from the thrift store. 3. 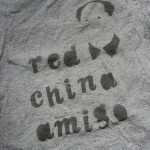 Using your stencil, spray with the fabric paint. If you’re a direction follower, Tulip’s site has a few more suggestions on how to do this well. 3. Let it dry for 24 hours, or however long before it needs to be on your merch table.